The seventh and last “world” of the game; The Front Yard. This is my favourite world in the game. Not only do I love locations like this being uniquely made as the last level in a game, but this one required a hefty amount of assets to be made, and all of which required lots of detail. 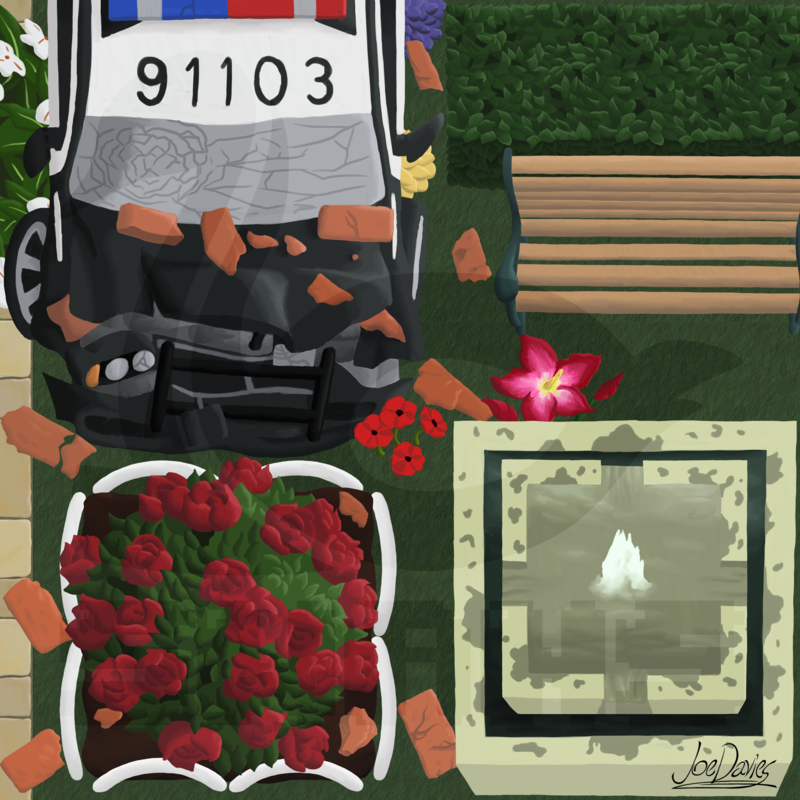 The wrecked police car and the rosebush should give you an idea of the huge amount of detail in the shading was put into the leaves and flowers, among other things, in this world. Heck, this world required I make 4 individual floor tiles, the most out of any of the worlds. And in the end, I think all that hard work and effort paid off greatly. I love the way this world looks in the end ad I don’t think a “final world” could look more imposing and so beautiful at the same time.